Time Q-Plus Biometric Time and Attendance System eliminates buddy punching and replacement badges. Tracks department transfers and employee hours worked in different departments. Includes benefit hours tracking, showing benefit balance. Ideal for small businesses with up to 125 employees. Can upgrade to 250 employees. 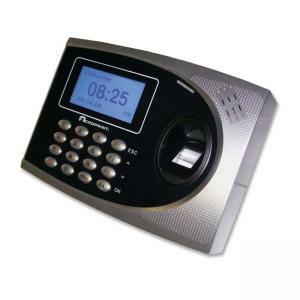 Easy to clock in using fingerprint or keypad entry. Easy to set up PC software, uses flexible communications, including Ethernet.